Late fall or early winter is a good time to plant garlic, anytime before the ground freezes. Fall is the best time to plant garlic in my heartland (zone 6) USA garden. Order or buy garlic by the whole bulb. Break the bulb into individual cloves. Do not peal the individual cloves. Garlic, all alliums, are heavy feeders. Take the time before planting garlic to enrich the soil. 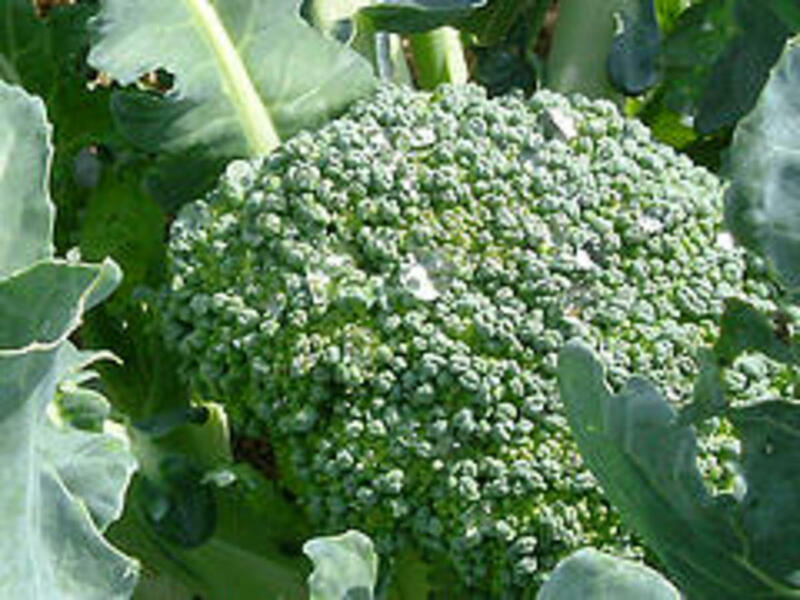 Work fertilizer or compost in the garden soil before planting. Add organic matter before planting. Do not plant garlic or onions, where garlic was planted last year. Space cloves 5 to 6" a part and 1 to 2 inches deep. Plant blunt end down and pointed end up. 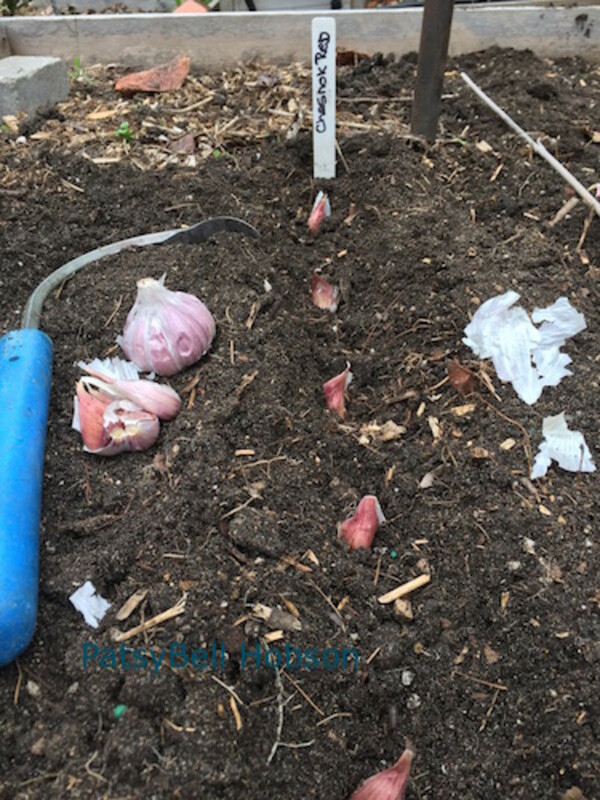 After the ground freezes, add mulch to the garlic rows. After the ground freezes, apply a layer of mulch for winter protection. I use straw or chopped leaves. In the spring, keep garlic well weeded. Do not make your garlic compete for nutrients and water with weeds. 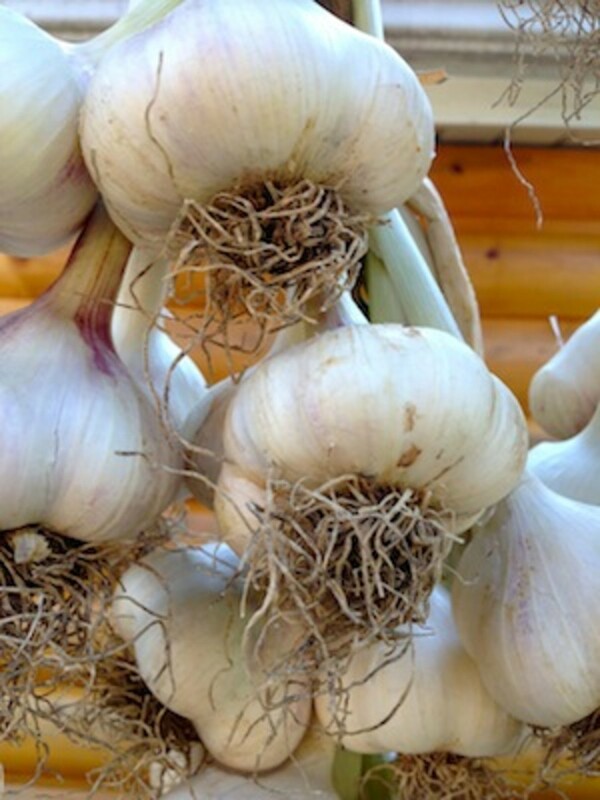 Garlic produces the plumpest, tastiest bulbs when it grows in full sun and in deep, loamy, fertile soil, says the All-New Encyclopedia of Organic Gardening. Garlic is susceptible to fungus when growing in a continually wet site. If you can, plant in a raised bed, which drains well and has loose soil. Garlic is generally classified into "hard neck" and "soft neck" varieties. Hardnecks have a stiff stem that remains until cut even after harvest. 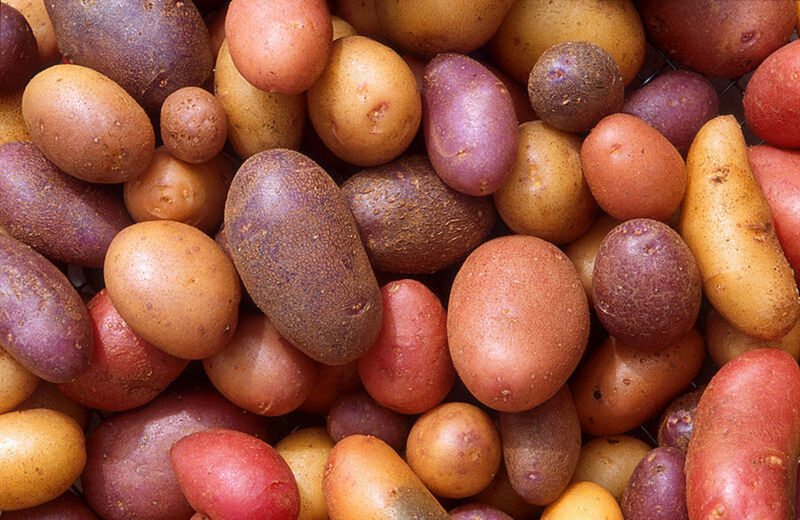 They are generally more pungent and have fatter cloves, so for most culinary purposes would be better, but hardnecks are picky about where they will grow. Hardneck types (Allium ophioscorodon), such as rocambole, usually send up a flower stalk. Clip this curly stalk and use in cooking. Hardneck varieties are best in climates with very cold winters. They produce large cloves that are easy to peel. Softneck garlic (A. sativum), is generally the variety you find at the local grocery store. Softnecks grow well in a wide range of conditions. The skins are tighter, so they store for longer periods. Purchase organic garlic. It is more expensive, but you will not have to buy garlic again. 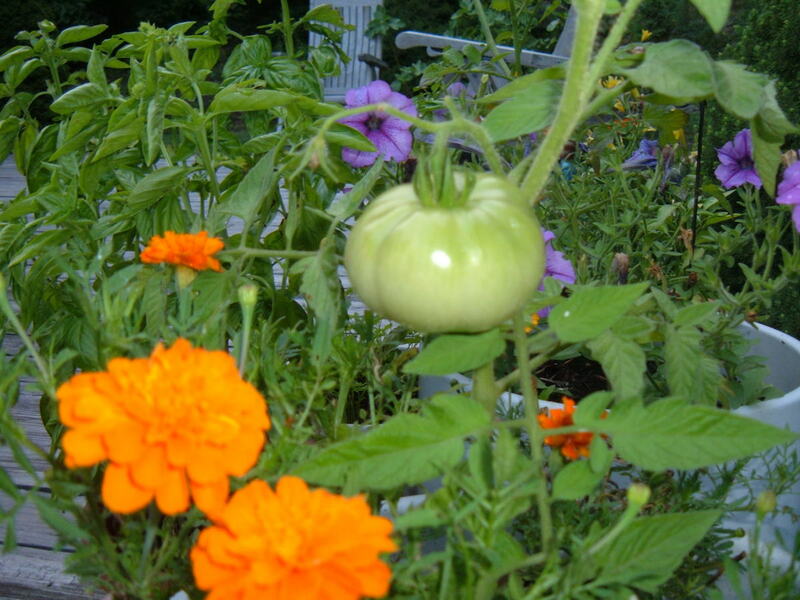 Start your garden using best practices and organic gardening methods. Grow a sampler of garlic varieties. As you harvest, store and eat the garlic, you can choose the best for you. 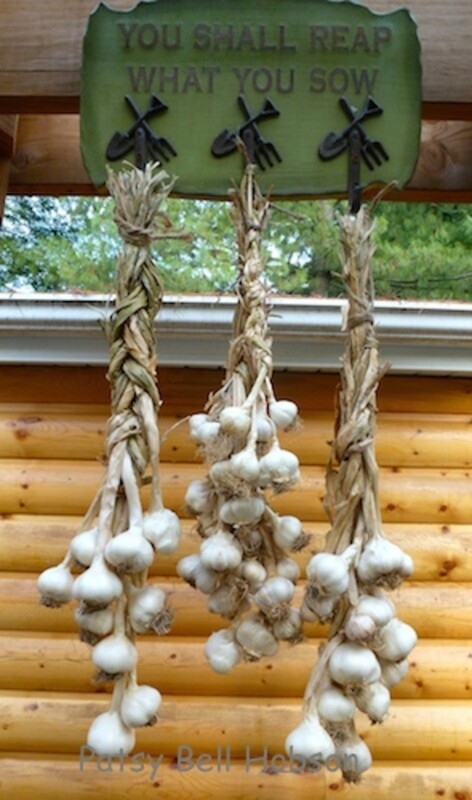 Cured and braided garlic bulbs must be hung away from the sun. Choose varieties with your preferences, hot or mild flavor, long storage or bigger cloves. Much of the grocery store garlic comes from China. Farmers markets can be your best source for fresh, locally grown garlic. Ask what variety market gardeners grow, or better, buy your stock from them. In spring watch for garlic scapes, the garlic sprouts that will produce flowers. Remove scapes so garlic focuses it's growth on the bulb. Scapes are perfect to simmer in a soup, chop in a stir fry, cook with roasted vegetables or baked chicken. Don't worry about garlic that has started to green up and grow in early spring. 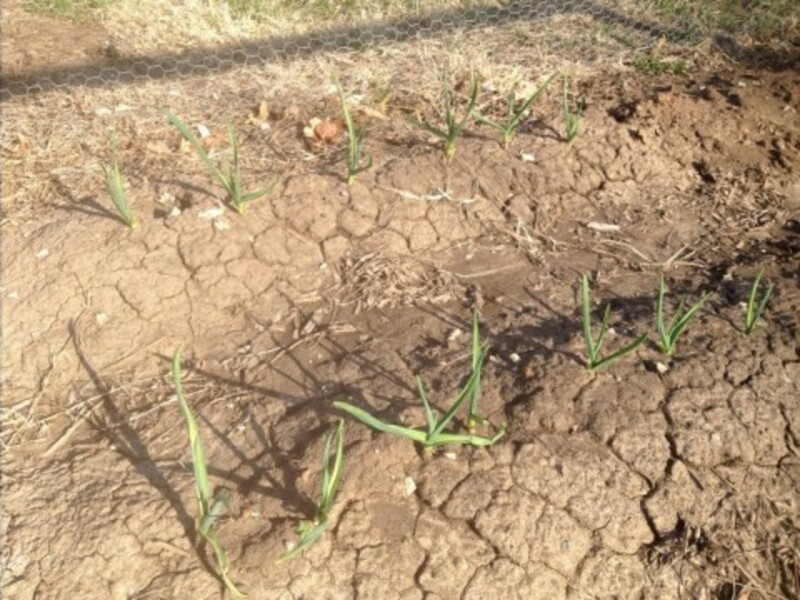 Late freezes, even light snows, will not harm garlic plants. Shallow rooted alliums, including garlic, grow best with regular water and well weeded soil. Remove winter mulch. Side dress garlic with compost, take care to not disturb the roots. Your only job is to keep the garlic bed well weeded and watered until time for the harvest in mid summer. Garlic is harvested in my zone 6, southeast Missouri garden in mid/late June and early/mid July. The leaves or green tops start browning. Do not wait until all the leaves fall over. You can leave garlic in the ground for another week if you are in doubt. Or, pull one garlic bulb. There will be drying outer layers of skin (or peeling). A week or two before lifting the garlic from the soil, stop watering. (You can't stop the rain, but stop watering.) "Lifting" the garlic suggests that garlic be gently removed from the soil, not pulled. Garlic can be easily be bruised or damaged by garden tools. Lift the garlic bulbs gently. Let the bulbs cure or dry for a day or two before cleaning up the bulbs. Then, you can gently rub or remove the dirty outer layers of the garlic bulb. Continue to dry or cure the garlic bulbs in a dry shaded area. If you are going to braid garlic, now is the time. Braid garlic while the tops are still flexible. After the garlic is braided, continue to dry or cure the bulbs. Spread out the loose garlic bulbs and braids in a single layer with room for air circulation around all bulbs. Keep garlic in a dry, shaded area, do not pile up the drying bulbs. When those stems or tops are completely dry, you may pick up the bulbs and store. Garlic will last longer, if it treated gently, store away from sun, heat and moisture. What To Save. What To Plant. 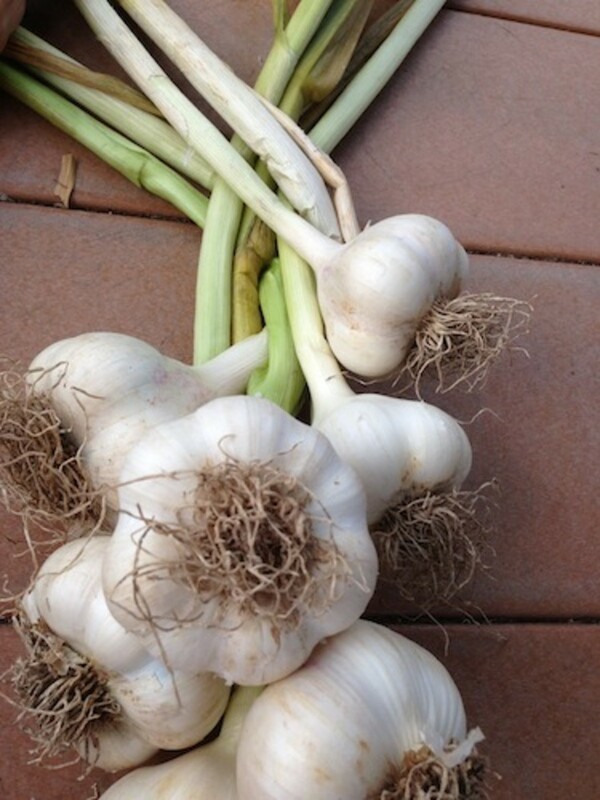 Garlic bulbs must be cured and handled gently. Now that you have harvested all your garlic plants, save the biggest and best for replanting this fall. Resist the temptation to save the biggest bulbs for eating. Miniature bulbs, called bulbils, may form in the flower head. These tiny bulbils can be grown just like garlic cloves. 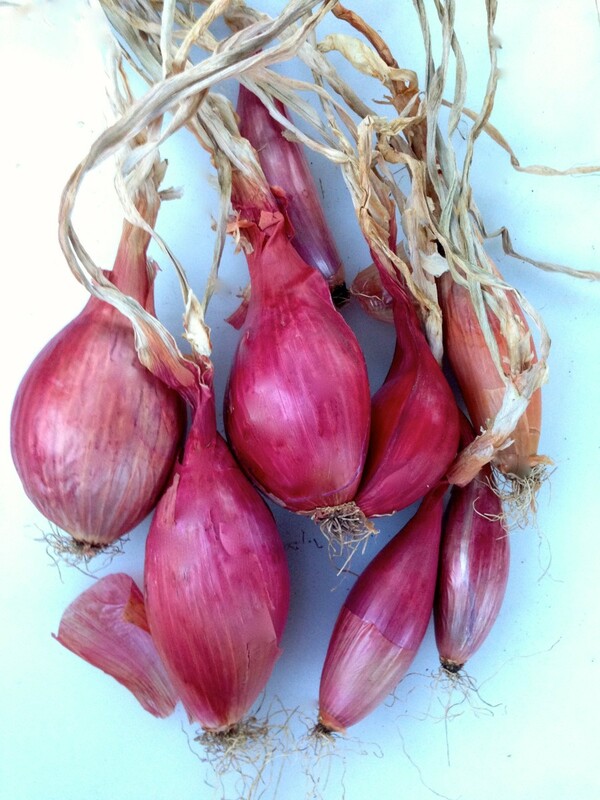 But they will produce little plants and usually take two years instead of one year to produce a sizable head of garlic. You might like: Grow Indigo Rose tomato and other blue food. Garlic, Allium sativum L., is a species of the onion family Alliaceae. Why grow you own leeks? Which is better? Green onions or scallions? Have you ever tried Red Torpedo Tropea: Sweet, red, and mild flavored? peeples. You can begin this fall by planting garlic. It will over winter to harvest next summer. Thanks! This hub answered my question plus some! Garlic is our next new item to add to the garden. Voted up and useful! Onions do not take up much space. Try one or two, just for fun and see if it is possible. I like growing vegetables in the garden. it's cheaper and a lot safer. I have not tried planting onions though. My husband put his onion sets in and a little chipmunk came along and popped all the sets out of the ground. He didn't eat them just popped them out. We put them back in and their doing fine now. Great hub good information. Voted Up.